FIat is working on bringing a new-generation version of its once popular SUV, the Freemont. Why is it relevant to us? The upcoming Fiat Freemont SUV will be based on the recently launched Jeep Compass, states a report. The Italian automobile manufacturer's plans of bringing a global SUV were put on hold as other projects like the Argo hatchback and the upcoming X6 S sedan took priority. However, Fiat will be revisiting the Freemont SUV project by making it based on the all-new second-generation Jeep Compass. In terms of powertrain options, the new-gen Fiat Freemont SUV will use the same 138PS 1.8-litre petrol and the 170PS Multi-jet diesel engine options. It is being said the the smaller unit will be paired to a 6-speed automatic with FWD. The diesel, on the other hand, comes mated with a 6-Speed manual or 9-speed automatic with an option between front- and all-wheel drivetrains. 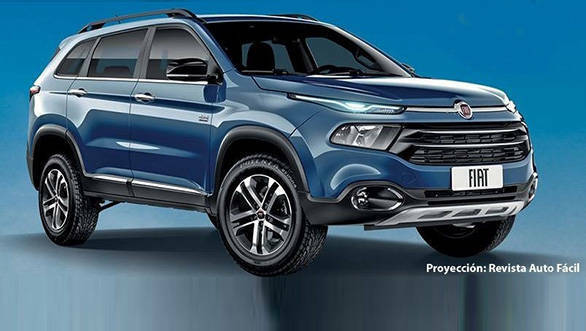 While the Jeep Compass based Fiat Freemont SUV will be launched in the international markets, the chances of the same coming to India is very slim.